Your smile is often the very first thing that others notice about you. 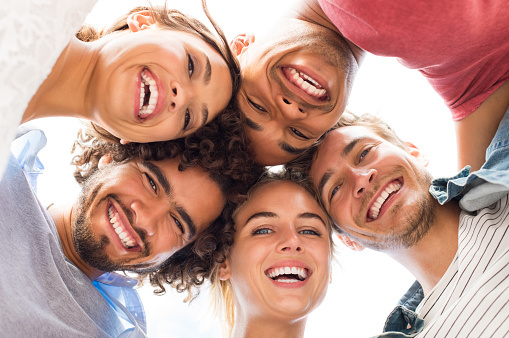 The quality of your smile is a major factor in the impressions that you make and how others see you. When your smile is less than perfect, you may be giving off the wrong impressions, even if you are completely unaware of it. At The Elmwood Dental Group LLC, we can help to improve the beauty of your smile, and the impressions you leave, with cosmetic dentistry. Teeth whitening is a treatment designed to restore the natural bright white color to your teeth. There are a couple of ways in which this can be done. One is an in-office procedure called chair-side whitening. It requires only one appointment and about an hour of your time. We paint a whitening gel onto the surfaces of your teeth, and you still may go home with custom trays to help maintain that sparkling smile. The active ingredient in the gel breaks down, forming tiny oxygen bubbles that eliminate stains in your tooth enamel. Results are noticeable immediately. Your other option for whitening is whitening trays. This treatment lets you whiten your teeth in your own home. We provide you with custom created whitening trays and the whitening gel. The trays are meant to be worn for several hours twice a day or overnight while you sleep. They hold the whitening gel against your teeth. Treatment typically takes one to two weeks, with results noticeable within a few days. Read more about Teeth Whitening. A dental crown is a treatment used to restore a damaged tooth. It is made to encase the entire visible surface area of a damaged tooth, protecting it from further damage and preventing infections. A ceramic crown also aids in restoring the aesthetics of a damaged tooth. Ceramic is a tooth-colored material that can be stained to exactly match the color of your teeth. The material also reflects light like your natural tooth enamel. These features allow the crown to blend in perfectly with the rest of your smile while providing the tooth with the protection it needs. Read more about Dental Crowns. A dental bridge is a traditional treatment used to replace a missing tooth. There are a few different types of bridges, but a fixed bridge is the most common. This restoration consists of a replacement tooth that fills in the empty space left behind by your missing tooth. The replacement tooth is anchored into place on the adjacent healthy teeth by dental crowns. Typically, bridges are made from porcelain, a material that blends in perfectly with the rest your natural teeth. Read more about Dental Bridges. Dental implants are a modern solution used to replace missing teeth. The treatment uses small titanium posts that are surgically placed into your jawbone. Your bone fuses to these posts, turning them into strong, stable, replacement roots. The posts provide support for the ceramic crowns that function as your replacement teeth. With dental implants, you are provided with a perfectly natural appearance that also feels and functions exactly like your real teeth. Read more about Dental Implants. A denture is a traditional restoration for missing teeth. It is a removable restoration that consists of acrylic resin or porcelain teeth that are set into an acrylic base. The base, which sits directly on your gums for support, is colored to match your natural gum tissue. Dentures have undergone numerous changes over the years, and are much more natural in appearance. Read more about Dentures. Dental bonding is a quick, simple, very affordable treatment used to eliminate the appearance of minor flaws in your teeth. Bonding uses composite resin, a tooth-colored material made up of fine glass, plastic, and other substances. This moldable, versatile material can be used to eliminate the appearance of cracks in your tooth enamel, fill gaps, and completely transform the size or shape of a tooth. The procedure is completely non-invasive and does not require a local anesthetic. It can also be completed in about 30 minutes. Read more about Dental Bonding. With cosmetic dental procedures, we can help you improve the beauty of your smile. Call The Elmwood Dental Group LLC at (860) 331-8748 today to schedule your consultation.